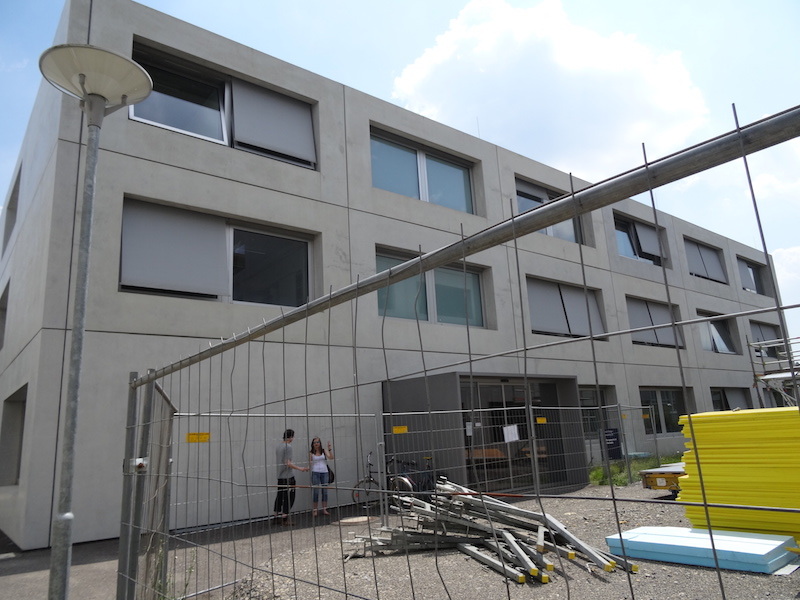 Note that there is currently a construction site in front of the building. 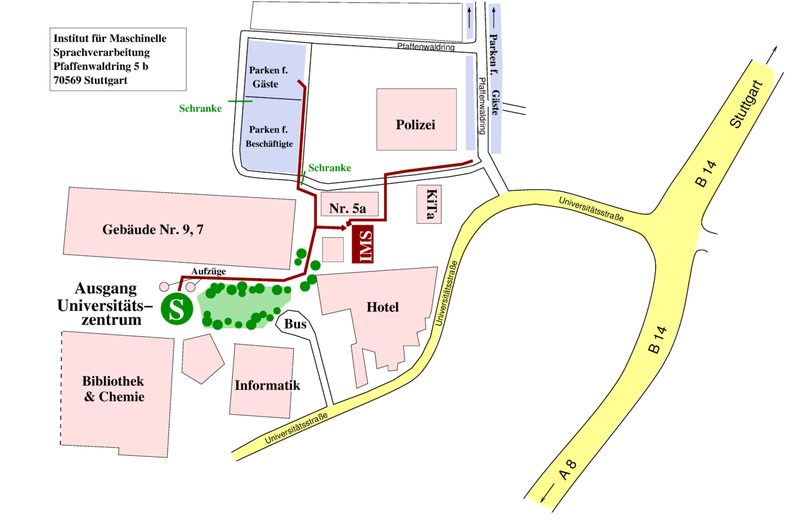 Therefore, coming from the S-Bahn (rapid transit) station (marked by the green circle with the “S” in the map below) you have to go around the back of the building to find the entrance (as described in the map). Hint: The Web site of of Deutsche Bahn (and their Navigator mobile app) offers travel information for essentially all public transit in Germany. You can search for connections using street addresses, local transit stops (bus, tram, etc.) and train stations. Get off at “Universität” (the ride takes about 10 minutes). Get off at “Universität” (the ride takes 16 minutes). You can reach Stuttgart Hbf by train as described below. Then take the S-Bahn from Stuttgart Hbf as described above. From Frankfurt Airport you can take direct ICE high-speed trains from the airport train station located in the terminal (Frankfurt(M) Flughafen Fernbf). Follow the signs that say “Long-distance train station.” The ride takes approximately 1:15 h.
The ride takes 27 minutes. Visa information: Germany is part of the Schengen area. If you need a visa, go to the Website of the German embassy or consulate responsible for your country. If you plan to stay in Stuttgart for some more time and want to do some sightseeing you can find further information at the Tourist Information i-Punkt. You can reach it if you exit the Main Station towards the Königsstraße, then it is on the left-hand-side. You can find more about sights, shopping and nightlife here. 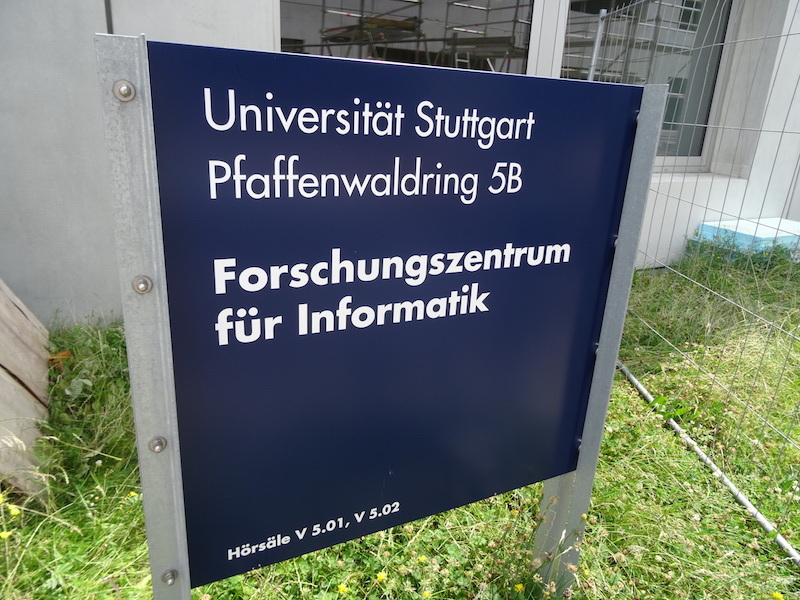 Registration will be in the entrance hall of the institute. Power sockets: two-pole Europlugs and Schuko plugs will work without adapter. We will have lunch at Commundo, which is the restaurant in the Hotel next door. During breaks coffee and snacks will be offered next to the seminar rooms. The local transport network is VVS . For yor stay you may want to get a 3-Day Ticket . For further ticket options, see here.